June 6th 2016 was my first visit to Halong Bay, Vietnam. I used the tour service from one of the hotel I was staying, and believe me when I told you that Halong Bay is really really really beautiful! It takes 4 hours drive from Hanoi city to Halong Bay, and usually the transportation is already included with the tour package you purchase. Descending Dragon Bay is the meaning of this amazing world heritage site. Previously, there were alot of fishing villages in Halong Bay, however, there are only few left and the remaining floating fishing villages are now being preserved by the Vietnam Government in order to maintain the authenticity of Halong Bay itself. There are two seasons in Halong Bay, cold winter around the end of the year, and I was there while summer. The weather is undeniably hot and moist, so you are on the right track if you plan on getting yourself tanned! There are many tour package that you can choose, click here for more information, but I think 2D1N service is fairly enough for you to taste the beauty of Halong Bay. Unless you are very interested in caves, sun and sea, then there would be not really much thing you could do. There are outdoor activities, such as kayak-ing, or do the floating fishing villages sightseeing by commuting with one the bamboo boats rode by the local. However, Halong Bay is not really recommended for diving according to my tour guide, so if you managed to find some good diving spots around here, please do let us know! 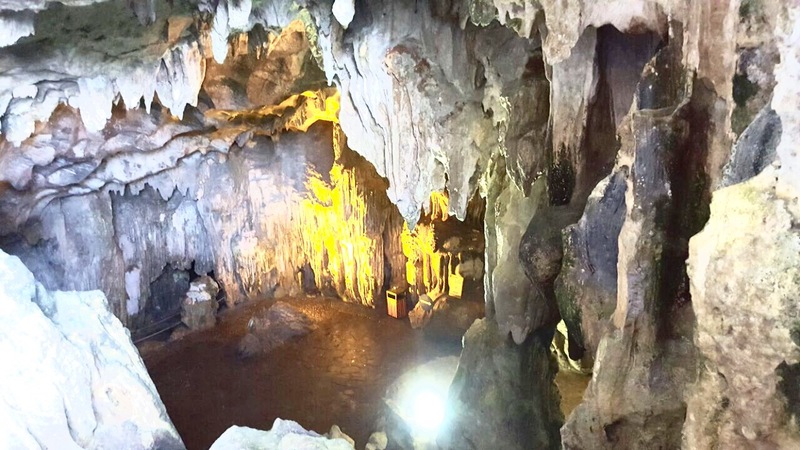 The natural landscape of Halong Bay was produced by the repeated regression and transgression of the sea on the limestone karst over the time, and the wonderful stalagmites inside the caves are very very natural and not man-made at all. The most important thing you have to do while you are here is to explore the caves, and they are amazingly beautiful! You will need to take some stairs and have quite some walk for it, but the beauty definitely worths. I love the caves because it makes me feel like I am playing some RPG games and stay in the dungeon, especially the stalagmites that were formed of calcium salts deposited by dripping water over millions of years. The stalagmites are well known for its legendary forms, such as sacred dragons, Singapore Merlion, Guan Yim Buddha, also some animals, such as monkeys and Turtle who represents longevity. The best place to enjoy Halong Bay is when you reach the end of the cave. As you go up the stairs for exit, you will find yourself drowning into this beautiful natural landscape. The four star cruise rates per pax is around USD 100, you can try to bargain with some travel agency if you buy it on the spot, so if they charge you more than that, please bargain if you are overcharged! 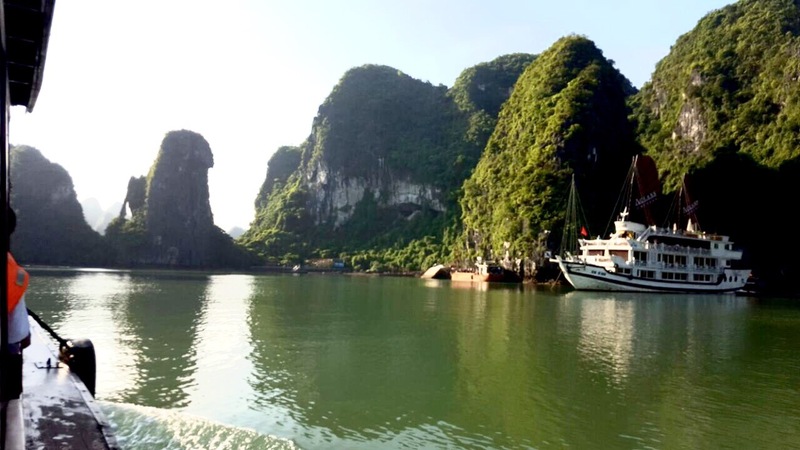 Return transportation from Hanoi to Halong Bay, meals, accomodation in the boat are all included in the tour package, except the tip to the tour guide and boat crew. Some cruise only provide you one bottled water, and you have to buy all the drinks while dining, so please bring your own bottled water onboard if you are on a budget.